Romania and Missions: Win a $25 Amazon Gift Card in the Sizzling Summer Giveaway Hop! Win a $25 Amazon Gift Card in the Sizzling Summer Giveaway Hop! I've been approved!!! I was so excited to complete one more step in my quest to visit my World Vision child in Albania. My new passport came a couple of weeks ago and last week I received an email from World Vision stating that my background check had completed successfully. I didn't anticipate any problems but it was good to have that step finalized. Now the tough part (for me anyhow)---the waiting. It can take up to 2 months for the staff to meet with the family and finalize a visit time. Many families can live in remote locations meaning that the staff have to make a special trip in person to bring the news and start planning. To help pass the time, I've loaded the blog up with tons of new giveaways. 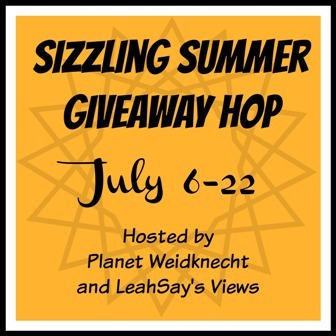 The Sizzling Summer Giveaway Hop is brought to you by Planet Weidknecht and Leahsay's Views and other participating bloggers. Please note that the hosts or other bloggers are not responsible for prizes not awarded. 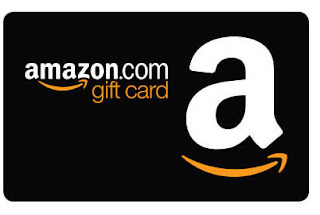 This giveaway is for a $25 Amazon gift card which you can use for any purchase on Amazon! Have fun, enter daily, and be sure to enter the other giveaways on this blog! Also be sure to enter the other giveaways in this hop! 8.Here We Go Again. . . Ready?